Check out this fun story called Leonard’s Garden Colours by Canadian author and illustrator Irene Luxbacher. We published Irene’s story in the June issue of Chirp and thought we would share it with you! Click on the arrows at the bottom right to view the story full-screen. P.S. Do you have a garden? What do you grow in your garden? Tell us all about it! Looking for a short but sweet, summery book? 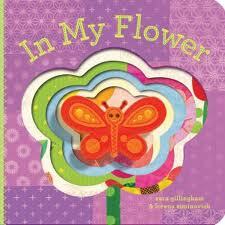 In My Flower by Sarah Gillingham and Lorena Siminovich is a colourful little board book that even comes with a butterfly finger puppet to play with while you read. 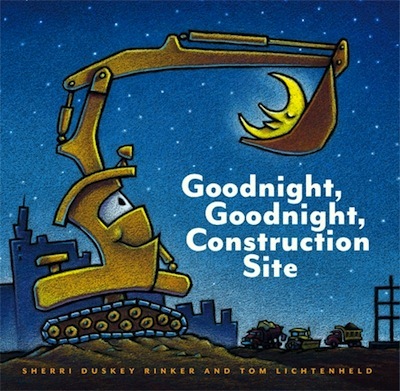 Check out this great rhyming book called Goodnight, Goodnight, Construction Site by Sherri Duskey Rinker. It is a story about what happens on a building site at night when all the diggers and dumpers are done work for the day. 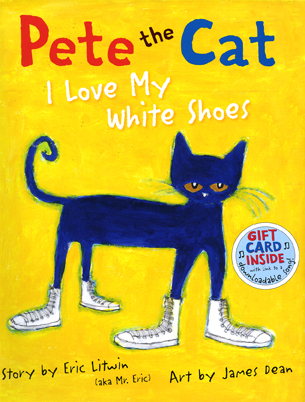 Pete is excited about his brand new white shoes. But when he steps in a few big messes, his shoes go from white, to red, to wet. But does Pete mind? Nope! He just keeps on walking along and enjoying the day. Some days you wake up and you just gotta wokka-wokka! Join the dancing party with this book about a boy who shimmies and shakes all the way around his neighbourhood.